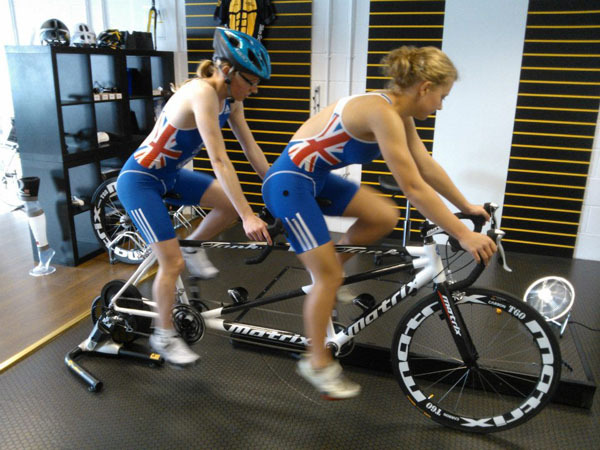 European Paratriathlon Gold Medallist Charlotte Ellis paid a visit to Bike Science North East recently for our first ever tandem bike fit. Charlotte has won triathlon titles all over the UK and Europe as well as being a former North East region sports personality of the year! Charlotte competes in the Tri 6 visually impaired category. Her and her guide both underwent a precision Retul bike fit with Bike Science North East Head Bike Fitter Andy Sedgwick. “Myself and my guide Jenny had a bike fit with Andy from north east bike science for our new tandem. Andy used the Retul motion capture system with each of us to measure and adjust each of our key joint angles and then worked with us both on the tandem to ensure that the bike worked for us as a pair. Andy also looked at the discrepancy between my right and left leg to ensure that the bike set up worked for both legs. To book a precision bike fit, use our online booking system or CONTACT US Now.